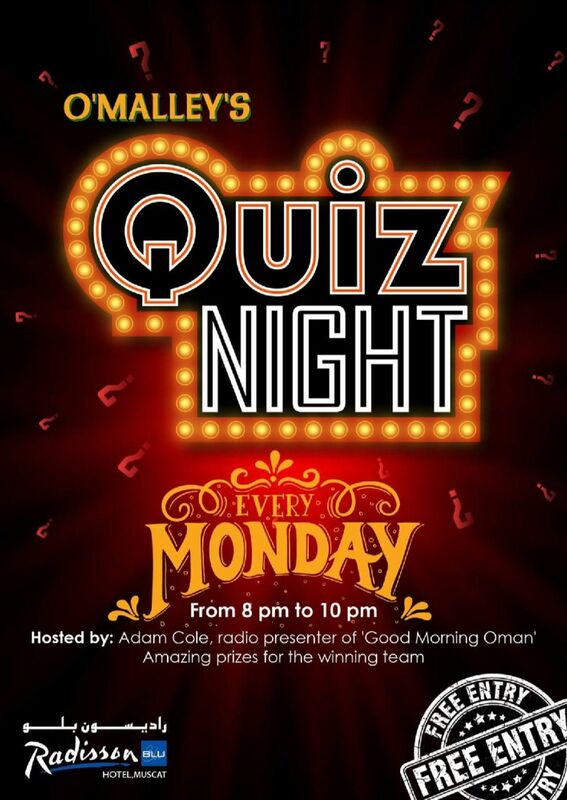 Tonight for its second week, local celebrity Adam Cole will be hosting the Pub Quiz. Lots of round prizes on offer, mostly food and drink, and a good amount of banter. Last week I attended with a group of friends, and our team ended up winning the night - it was a lot of fun and I think worth noting is that friends from Canada were also able to be involved in the quiz (so many pub quizzes are based on UK stuff only) too. 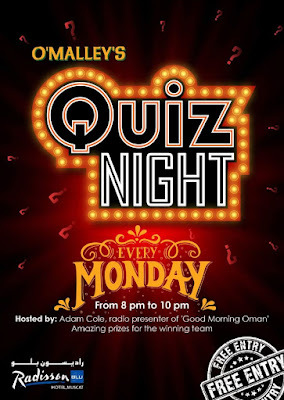 So if you fancy testing your useless general knowledge, then head on down to O'Malley's at the Radisson Blu tonight, the quiz starts at 8pm and runs till about 10pm.